Dartmoor is great walking country – it’s one of the few places in our crowded island where you are allowed to walk almost anywhere. But it has few clearly marked footpaths and many little tracks which often disappear or end up in one of our infamous bogs. Without excellent mapreading and navigation skills or lots of time to research and explore the area, it is hard to get away from the obvious visitor attractions and experience the quiet magic that Dartmoor has to offer. 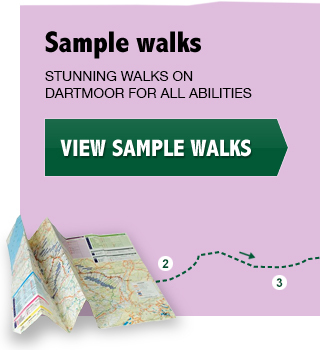 We can help you find the best Dartmoor walk for you. Dartmoor offers much more varied scenery than many people realise. As well as the famous open moors and tors, there are ancient woodlands, waterfalls, riverside wildflower meadows, overgrown remains of Bronze Age, medieval and mining settlements, stone circles and countless other hidden beauty spots. Many of these are known only to seasoned walkers and locals, and even good mapreading skills won’t tell you where the best views, resting spots, or wildflowers are. We will work with you to identify the area, length and type of walk you would like and put together an unforgettable day or half-day out in hidden Dartmoor. If it's a cycling you fancy, we offer a day or half-day exploring all the different Dartmoor landscapes on e-bikes and can include stops for walks, a pub lunch or a cream tea. We can also bring in local experts to offer walks or rides with a particular focus such as birdlife or plants, archaeology/history, legends and myths, wild swimming, ecology, social history and sustainability. 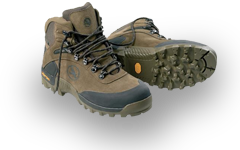 For pre-scheduled guided walks, visit the Moorland Guides website to see a calendar of walks and other useful information.